We weren’t the only ones asking this question. Soon, we connected with the International Finance Corporation, the private sector arm of the World Bank. They, too, were exploring how to better create markets and opportunities in the MENA region. These discussions culminated in a partnership that was formalised in a Memorandum of Understanding, signed at Davos in January 2017 by Professor Klaus Schwab, Founder and Executive Chairman of the World Economic Forum and Philippe Le Houérou, Executive Vice President and CEO of the International Finance Corporation. With support at the highest levels of both organisations, the next step was to bring the top venture capitalists in the region on board – including Fadi Ghandour, Ahmed Alfi, Karim Kawar, and Hala Fadel – who would help us identify the 100 Arab start-ups shaping the Fourth Industrial Revolution. With their help, we crafted selection criteria that would help us identify the start-ups most likely to benefit from the World Economic Forum's platform: those that were revenue generating, had outside funding, strong financials, and were helping to improve the state of the Arab world within the context of their unique start-up ecosystem. Applications went live in March, and we the response was overwhelming. 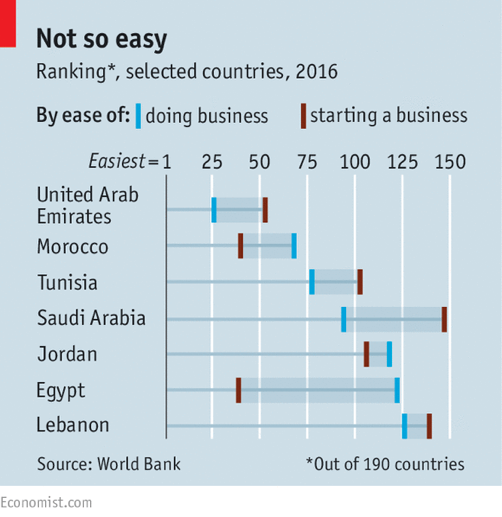 Over 250 start-ups applied, and while established ecosystems like the United Arab Emirates, Egypt, Jordan and Lebanon were well represented, we also discovered trailblazers in countries we didn’t expect. Some companies, founded under the most challenging of circumstances, included Arabic voice recognition software developed in Syria, the first e-mobile wallet in Libya, a labour marketplace operating in Yemen and mobile games being produced by a team in Gaza. The start-ups also demonstrated incredible innovation in solving regional challenges. While some of their offerings are universally applicable, many close gaps specific to the Arab world. These include providing tele-health services in Arabic, providing better access to Arabic books and culture, curating Arabic news sources, using GPS to guide product deliveries, or facilitating hotel reservations by phone when many users are not comfortable paying with credit cards online. Ultimately, we picked the 100 start-ups most in line with our criteria. 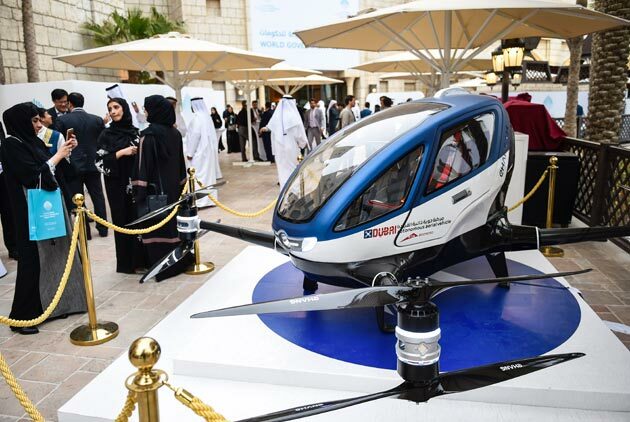 Among these are Careem, the UAE-based Arab ride-sharing app, Skiplino, the Bahraini queue management software, and nextProtein, a Tunisian start-up producing insect-based protein for livestock. These start-ups also showed impressive diversity, with founders hailing from 18 different Arab countries, from Oman to Lebanon to Tunisia. These start-ups will attend the World Economic Forum on the MENA region at the Dead Sea, where they will have the opportunity to meet and learn from one another. During the week, they will meet, learn from, and share with some of the leaders in the Arab world’s start-up ecosystem. They will discuss the new era for Arab start-ups in the wake of the Souq.com acquisition; explore innovative financing models for start-ups beyond the traditional venture capital offerings; and will learn the World Economic Forum’s unique methodology for calculating businesses’ value to society. They will also meet the people who can help them navigate complex local bureaucracy or open new doors to them. At a dinner hosted by the Swiss Ministry of Foreign Affairs, the start-ups will be introduced to some of the top business and political leaders interested in investing in the region. The start-ups also have a special session with the Young Global Leaders, a group of under-40 year olds who have been selected by the World Economic Forum for their potential to improve the state of the world. They will benefit from the insight of the leaders of the World Economic Forum and the IFC, with a joint “Meet the Leaders” session over breakfast on Sunday. Heads of State and Ministers have also requested closed-door meetings with start-ups from their countries to help them succeed. Finally, the start-ups will have the chance to share their work with the broader community. Many were selected to speak in sessions on the public programme or participate in private sessions on topics relevant to their companies. Looking forward, we intend to continue engaging and supporting the start-ups through the World Economic Forum's platform and through our strong partnership with the International Finance Corporation. We are currently exploring opportunities for the start-ups to attend other summits, like the tech-focused ‘Annual Meeting of New Champions’ in China, or even benefiting from the World Economic Forum’s new San Francisco Centre for the Fourth Industrial Revolution. More importantly, we hope the relationships they form at the Dead Sea will serve as a springboard towards mentorship, financing, and knowledge sharing. After all, when we talk about ‘Enabling a Generational Transformation’ – the theme of the MENA Forum – it is these 100 individuals that we are talking about.